I grew a row of sunflowers in the back wall of my dwelling, and my intention was to attract goldfinches to the neighborhood. They came, ate, and calling for others to come. I miss seeing my backyard birds since I can't put up feeders. Like clockwork, the Goldfinch came. 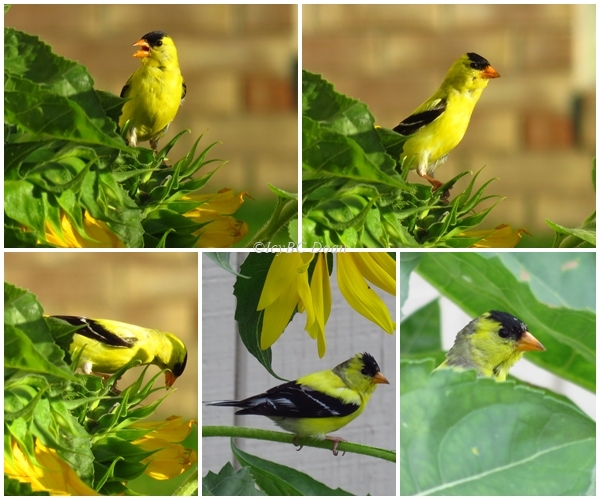 Sometimes, there are many of them feeding on different sunflowers. They have lots of choices to hop from one flower to the next. 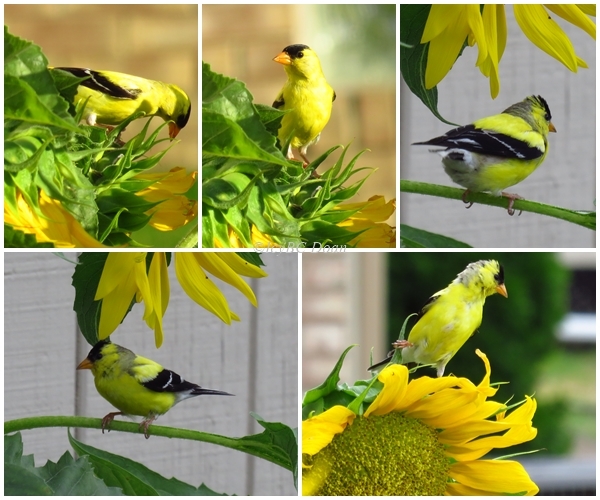 Usually, they would wait for the sunflower seeds to mature, but this year, they smarted-up and have eaten the young seeds instead.